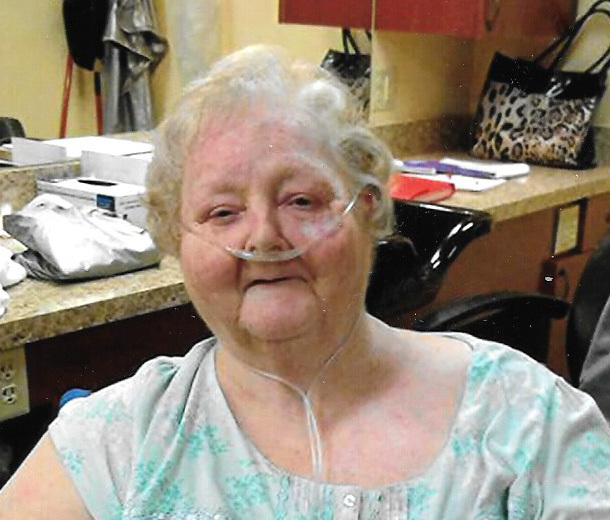 Funeral services for Patsy Ann Cheney, 69, will be held Tuesday, April 16, 2019 at 2:00 p.m. at Sulphur Springs Baptist Church in Zavalla, Texas with Timothy Cheney and Bro. Bubba Sheffield officiating. Interment will follow at Zavalla Cemetery. Ms. Cheney was born February 6, 1950, in Lufkin, Texas, the daughter of Orion Sheffield and Vera Holsumback Sheffield, and died Saturday, April 13, 2019 at her residence. Ms. Cheney was a loving mom and grandmother. She loved to sew, cook and loved flowers. Ms. Cheney is survived by her daughter Jennifer Jones and husband Waylon of Zavalla; sons, Daryl Cheney of Zavalla, Timothy Cheney of Zavalla, Jeremy Cheney and wife Angie of Zavalla; grandchildren, Haylee Sowell, Victoria Champion, Alex Cheney, Pressley Matlock; Jolie Cheney, Cadamus Cheney, Timber Cheney, Andrew Cheney and Layne Cheney; brother, Gene Sheffield; sister, Sue Hess, and numerous nieces, nephews and cousins. She was preceded in death by her parents; brothers, John Paul Sheffield, Bennie Sheffield; sisters, Dell Stringer, Dorothy Basham and daughter-in-law, Kathy Cheney. Pallbearers will be Shane Carter, Randal Massey, Cadamus Cheney, Keith McClelland, Kelli Boulware, James Barge, Waylon Jones, Bo Bailey and Timothy Cheney. Honorary pallbearers will be Timber Cheney, Alex Cheney, Andrew Cheney and Layne Cheney. Special memorials may be made to the COPD Foundation, 3300 Ponce De Leon Blvd., Miami, Fl., 33134 or by email to DONATE@COPDFOUNDATION.ORG. Visitation will be Monday, April 15, 2019 from 6:00 pm. to 8:00 p.m. at Sulphur Springs Baptist Church, Zavalla, Texas.